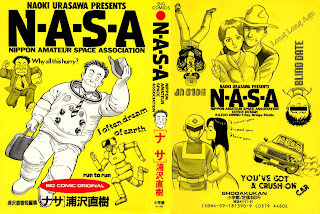 Happy Scans and I are proud to present to you NASA, a 1 volume collection of oneshots by Urasawa Naoki. Despite the volume title, this manga is not really about space at all and each oneshot has quite a different story to tell. But of course, all of them are classic-Urasawa. And by classic, I mean relatively lighthearted stories with goofy humour that characterized his pre-Monster-era works. 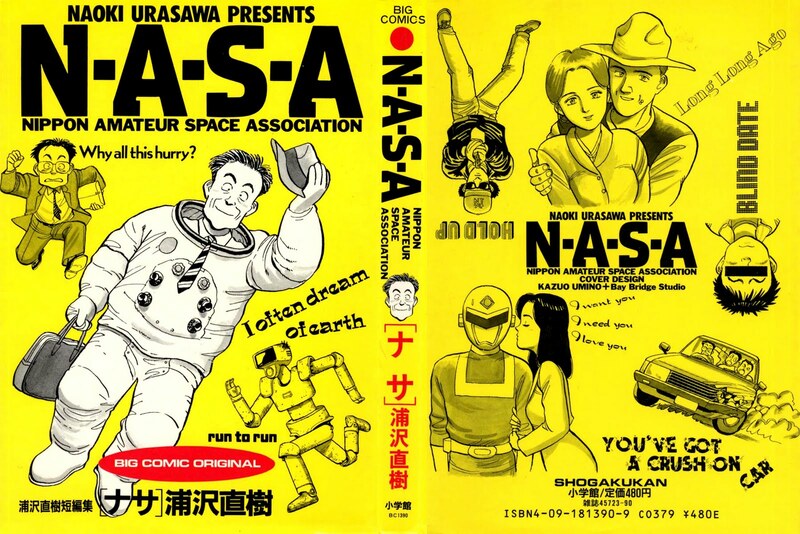 So if you want to get a better idea of Urasawa's development as a mangaka, I highly suggest you go read NASA, Happy!, and Yawara (especially Yawara since that was THE manga he was known for in the first half of his career). Although the latter two are unfortunately incompletely scanlated, Happy Scans is making steady progress so don't lose hope, people. Oh, I almost forgot. One of the oneshots included in NASA is Beta! !, which was previously translated by Mangascreener so a thank you to those guys as well. I am not really a fan of pre-Monster Urasawa(I do like Keaton tough), still, this one interests me so I will read it tomorrow. Thanks! Got a few chuckles from this. Thank you! This is quite an unexpected but great surprise. Thanks for the Urasawa love. This was really nice. All the stories were nicely pace and tightly written. Very enjoyable. Too bad there wasn't a NASA pt3. I'm really enjoying this. Thanks, bros.